The book jacket for Jesse James Soul Liberty asks, “Think you know Jesse James? Wait until you meet his family.” Readers of this book easily can grasp why the Jesse James family is excited about Jorge Mario Bergoglio, a Jesuit, who now is Pope Francis I.
Jesuits teach and practice a street-savvy concern for the disadvantaged and the poor. That not only is clear in the biography of Jesse James’ cousin, Fr. James Burns Malley S.J., as Chapter 10 tells his life’s story as a Jesuit, it also is clear throughout the book among the stories of others in the James family. While encouraging education, Jesuits foster critical thinking, the kind that not only is necessary to challenge, address, and remedy the ills of society, but also the kind to move society forward as a result. From the Enlightenment of the American Revolution, through each James pioneer who sought to set up his own “Athens of the West,” to Thomas Martin James who aspired to “the highest mental culture” – as he spiffed loans to Frank James behind his store – the James family has demonstrated a solid record of cultivating education, intelligence, and mental acuity in service to those of lesser means. The family of Frank and Jesse James knows that the ills of the world cannot be cured without being in the street. Like Jesse James, they have been there, and they always will be there. If not specifically like Jesse James, then in their own way. Among the James family, Jesse James’ soul liberty always will be self-defined. 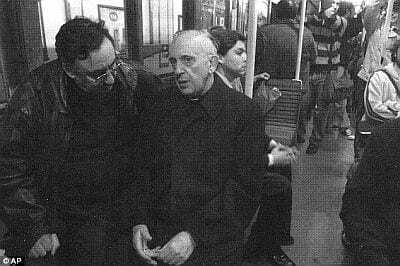 Like the Jesuit, Jorge Mario Bergoglio who rode the subways of Argentina to the Papacy of the Vatican where the real work begins, the James can be expected to produce the unexpected. Previous PostObituary – John J. “Jack” KoblasNext PostWhy the acclaim for Jesse James?